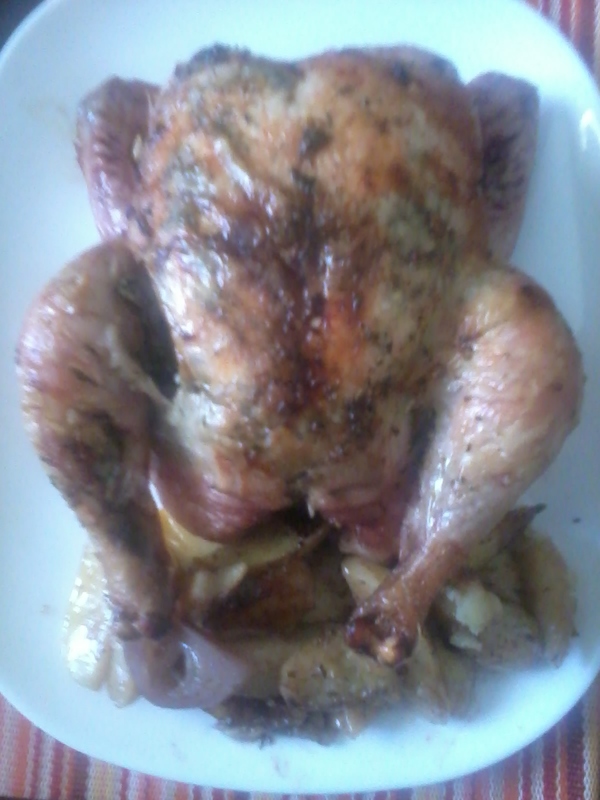 I had missed eating potatoes and since I didn’t have the patience to bake the potatoes I decided to mash them. 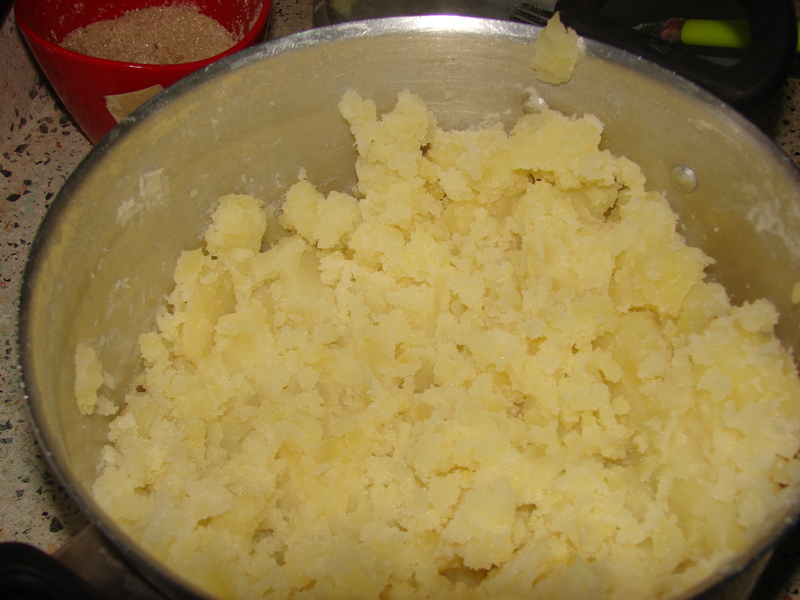 Making mashed potatoes is pretty simple, since you just boil the potatoes till they are completely cooked then you mash them like crazy. Of course there are a few spice addition here and there which I’ll share in a bit. Sometime back my colleagues and I decided to do a lunch treat at a nearby food court. Being adventurous with the food selection I ordered some coconut chicken. 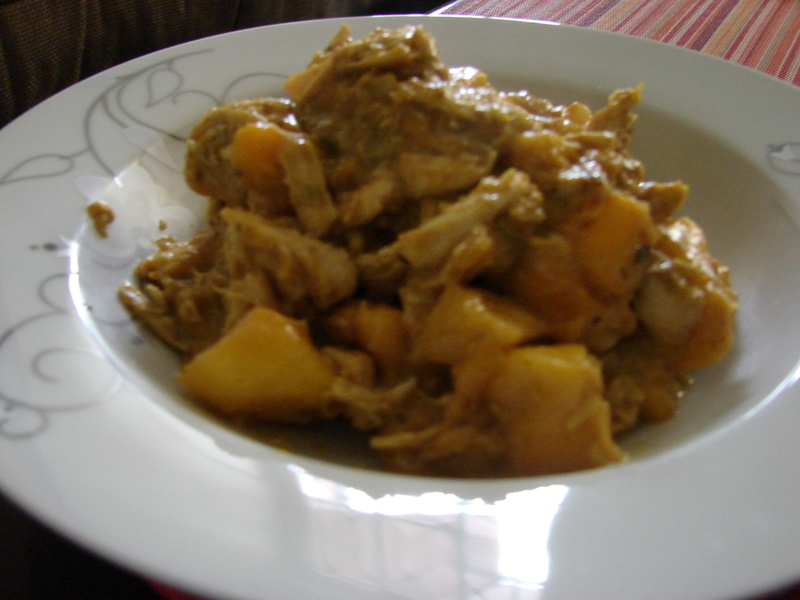 Boy, wasn’t I disappointed, it was more like stewed chicken with lots of tomatoes and bell peppers and not even a hint of coconut, anyway since I had some boneless chicken breasts in the fridge I thought of making actual coconut chicken. After checking some online recipes I settled on trying it out my own way. Peel and wash the potatoes thoroughly. Cut them in halves. 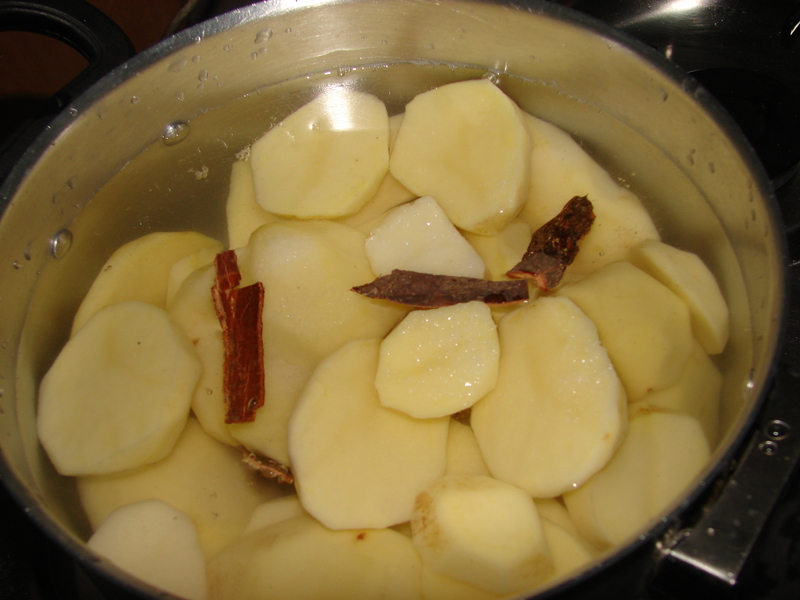 In a sufuria add the potatoes, salt and water to almost cover all the potatoes. In case you have fresh rosemary you can add about two sprigs. I also added some cinnamon bark. Cover and let the potatoes cook completely. 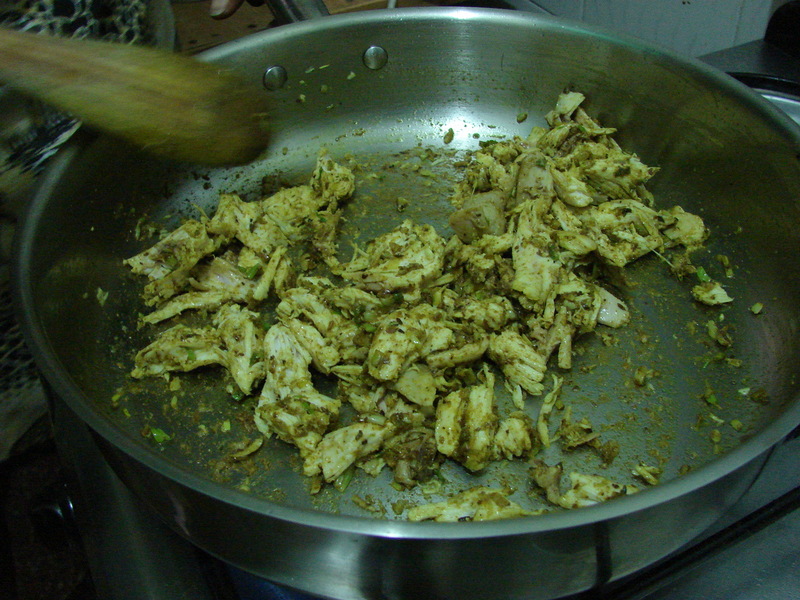 First, cut the chicken into bite size pieces. 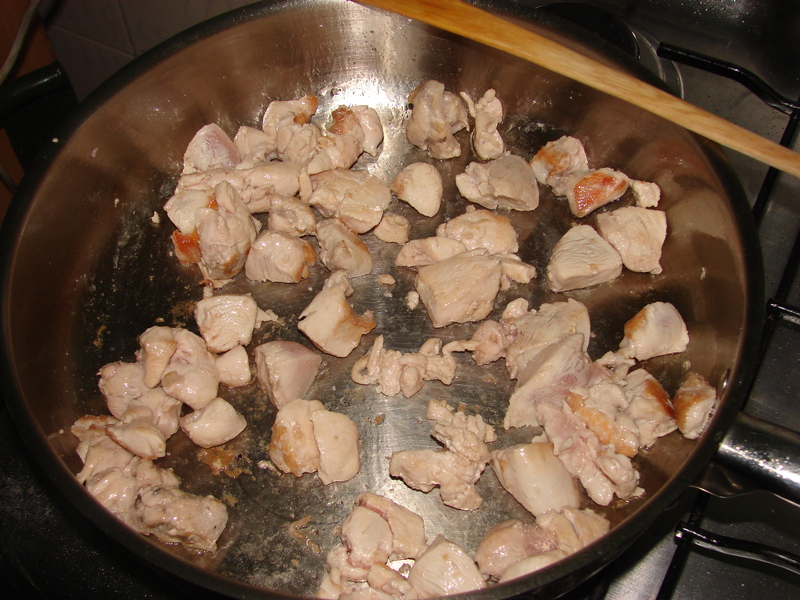 Add one tablespoon of oil in a skillet, then brown the chicken for about 3 to 5 minutes. 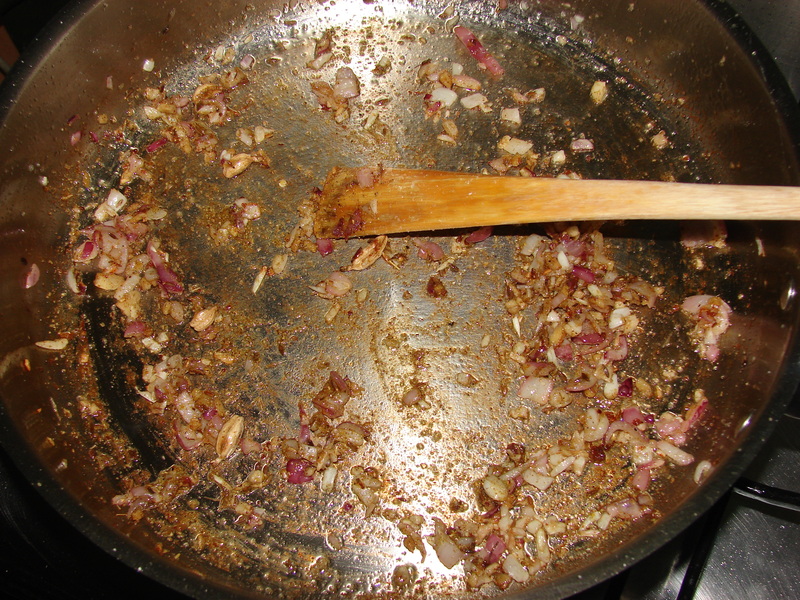 Remove from the pan then set aside. 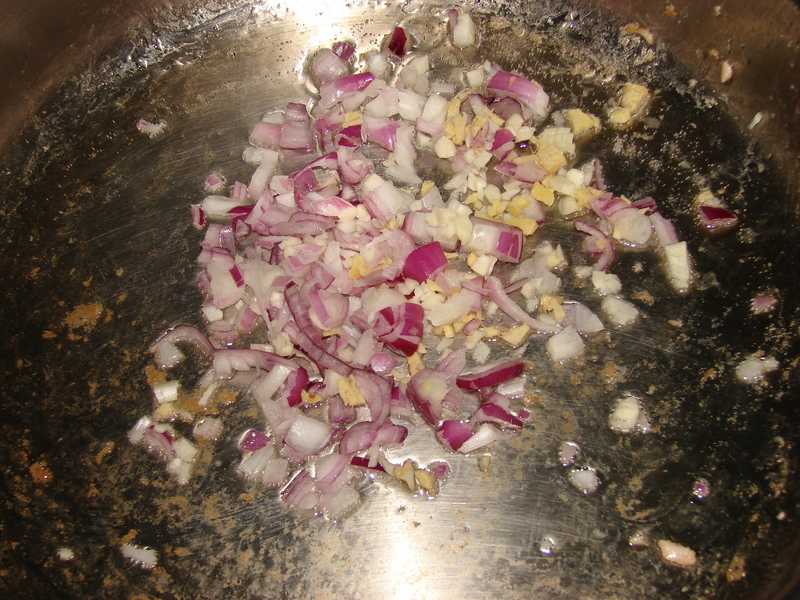 In the same skillet heat 2 tablespoons of vegetable oil then add the onions, garlic and ginger. 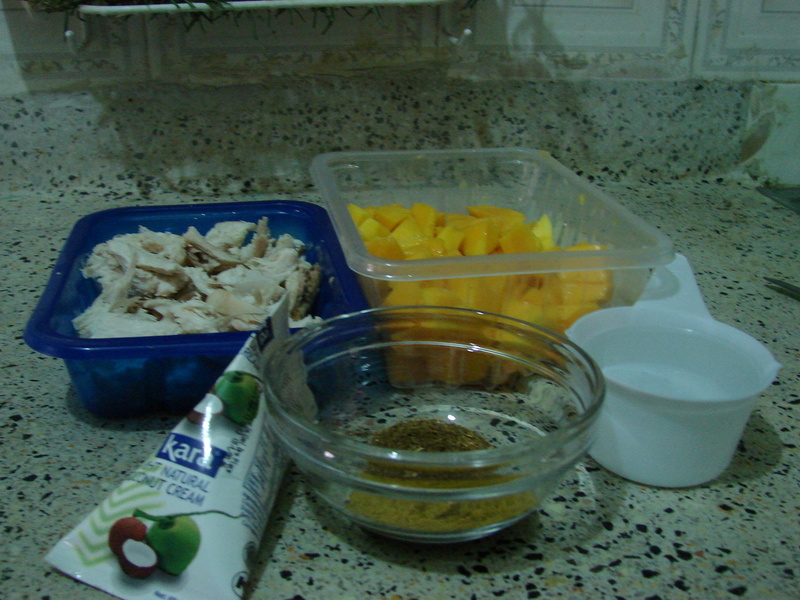 Since I was doing this for the first time, I didn’t want to use a lot of spices lest I miss the coconut taste. 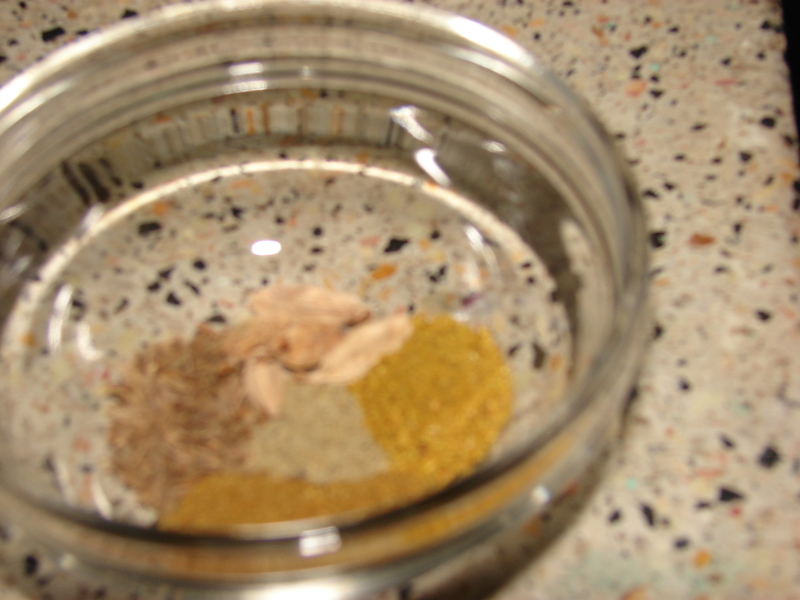 So I settled for some cardamon pods, cumin seeds, coriander powder, curry powder and good old black pepper. 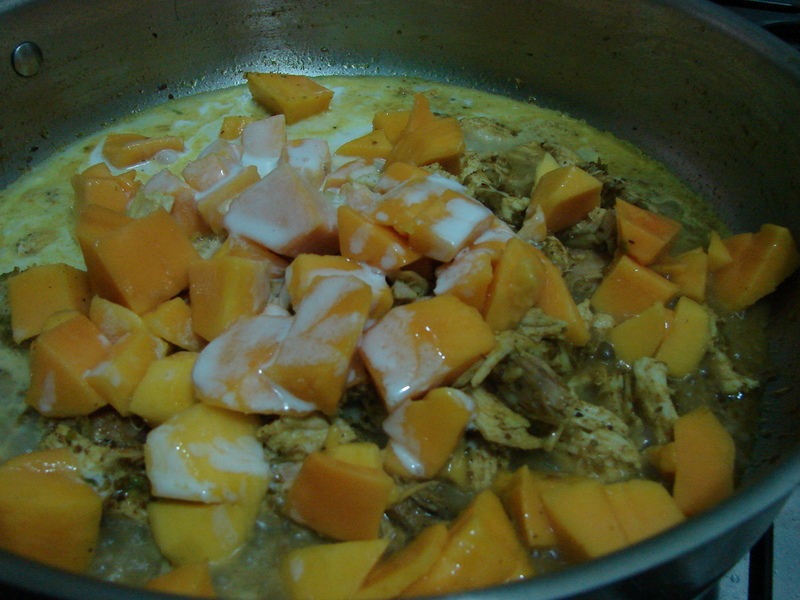 Stir in the spice mixture. 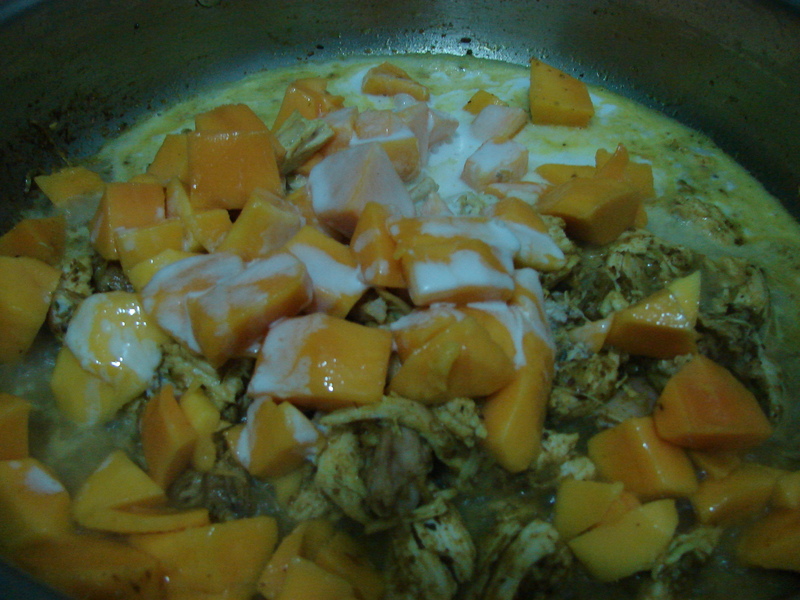 Add 1 cup coconut milk and let it simmer with the spices for about 3 minutes. 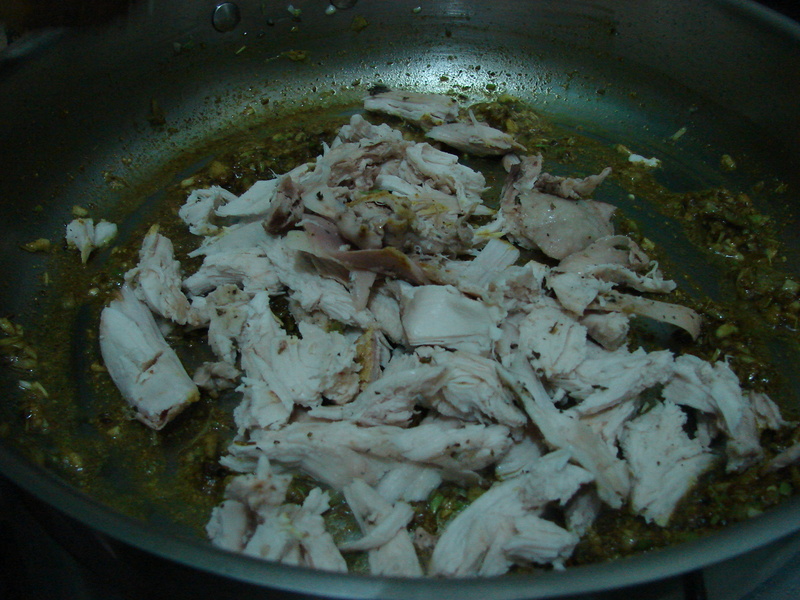 Let the chicken cook for about 25 minutes or until the sauce is thick. Back to the potatoes. 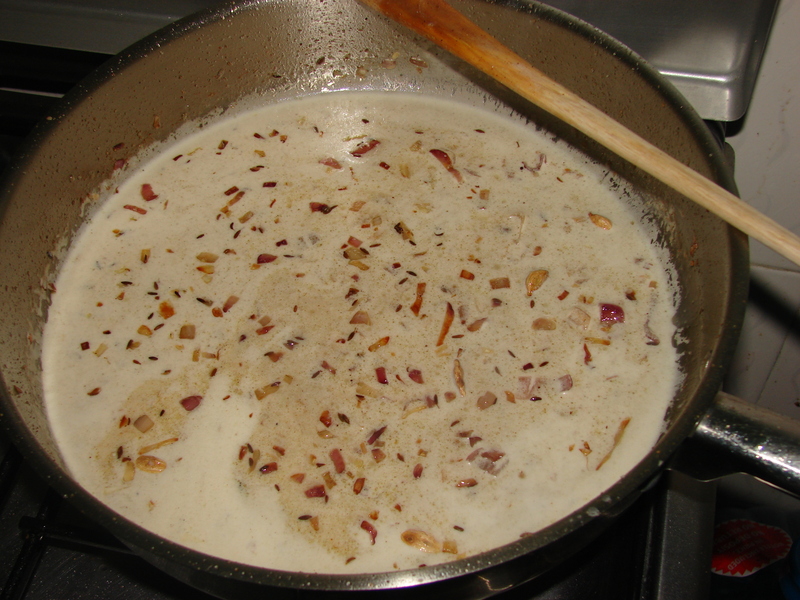 Once fully cooked, drain any excess water, remove the cinnamon bark, then mash like crazy. Mashed potatoes are like a blank canvas you can spice them up with almost anything. 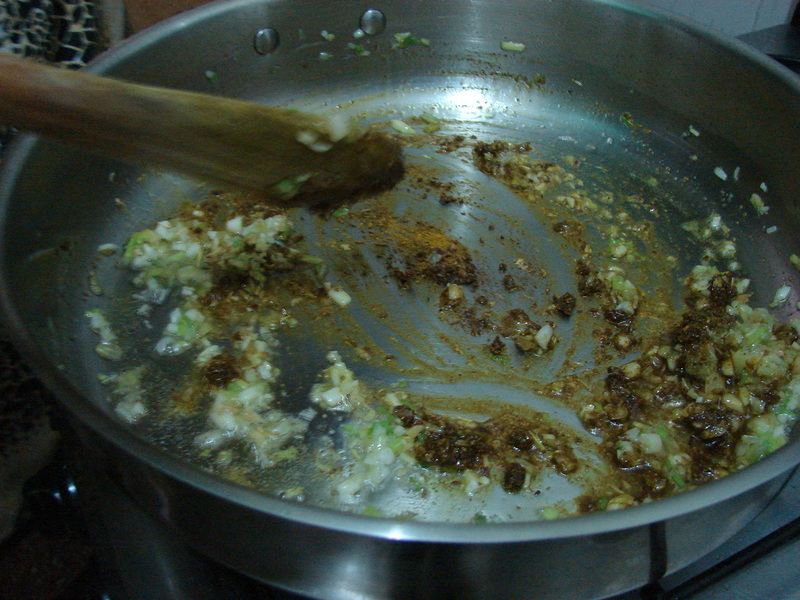 From chopped coriander or parsley to butter and milk. 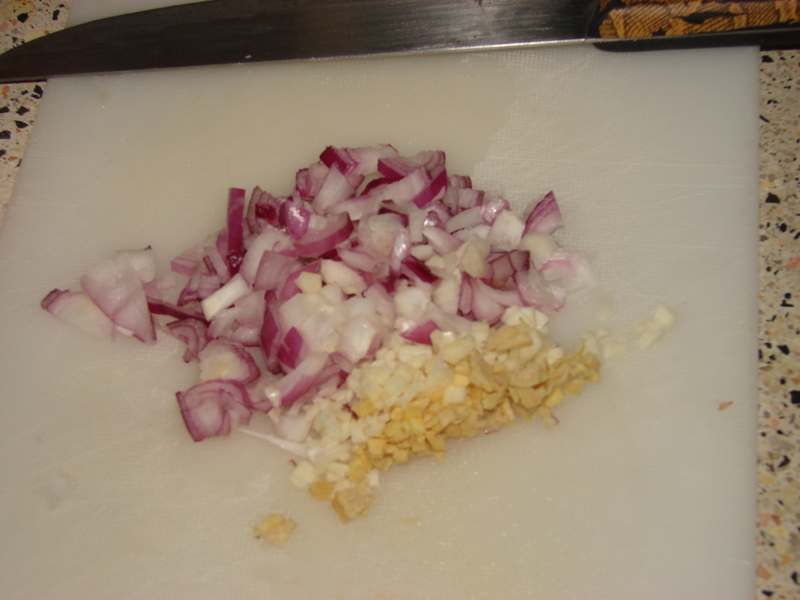 Adding some chopped spring onions or grating over some cheese. Since I was out of parsley, I added 1 tablespoon of basil leaves, 2 tablespoons of margarine and about 1/4 cup of milk. 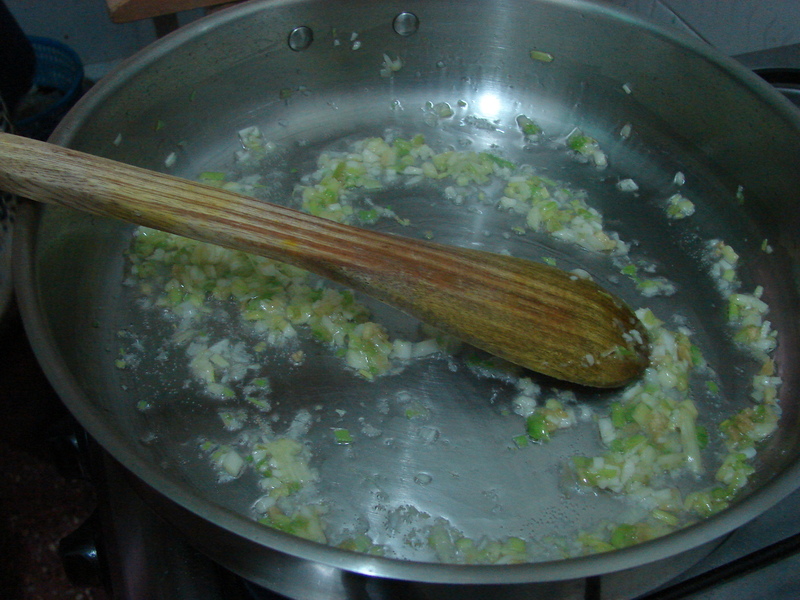 The milk helps in making the mashed potatoes fluffy. 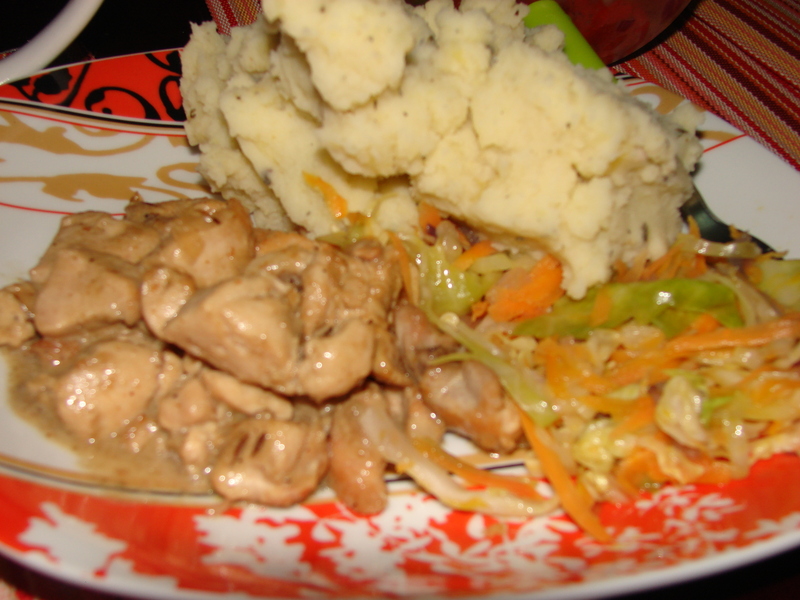 Mashed potatoes, coconut chicken and some fried cabbage and carrots. 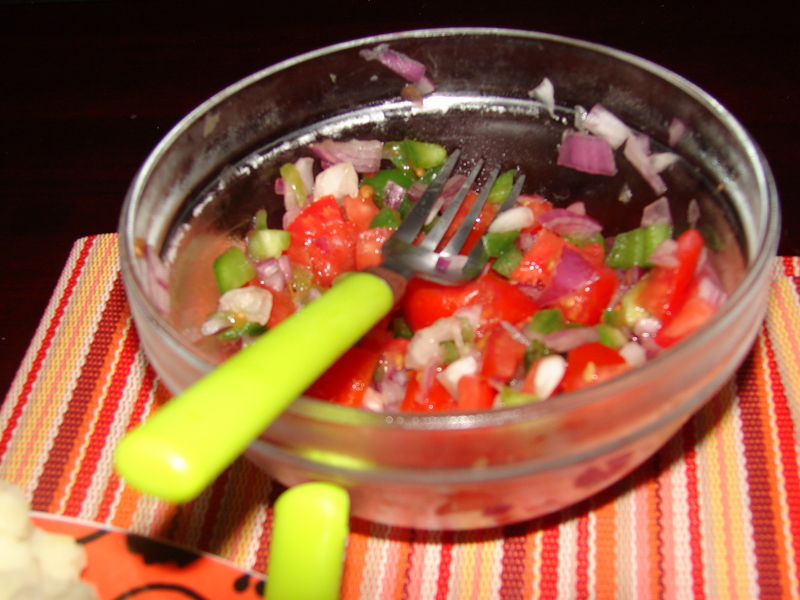 Not forgetting some kachumbari on the side. Coconut – ty. The mashed potatoes were delicious and the basil added a nice touch. 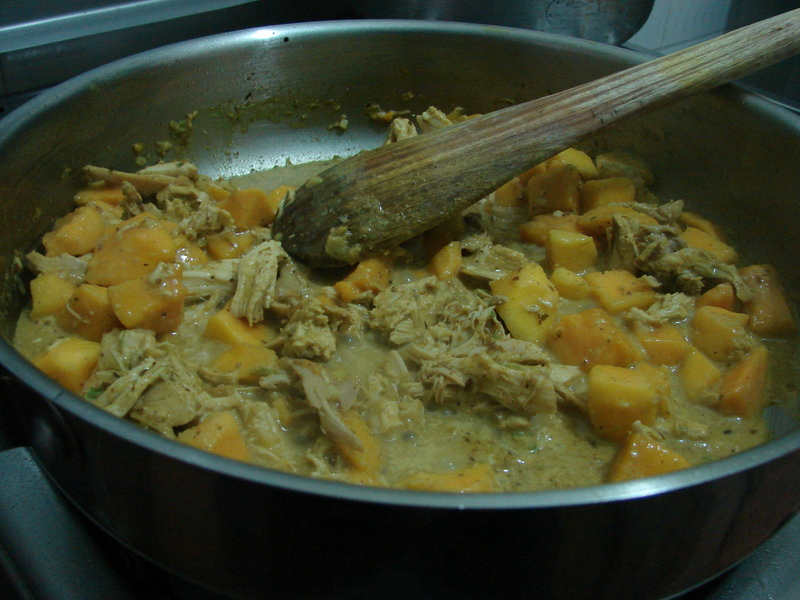 I’ll definitely be making this recipe again, of course with some few adjustments like more coconut flavour.